Flexible, versatile – instantly reconfigurable secure weapons storage. enabling instant storage of all types of police, military or security force weapons. Efficient, flexible weapons storage for armoury locations - with instant expandability built in. The Expandable Weapons Rack enables high-density storage of virtually any small arms within a secure space such as an armoury. 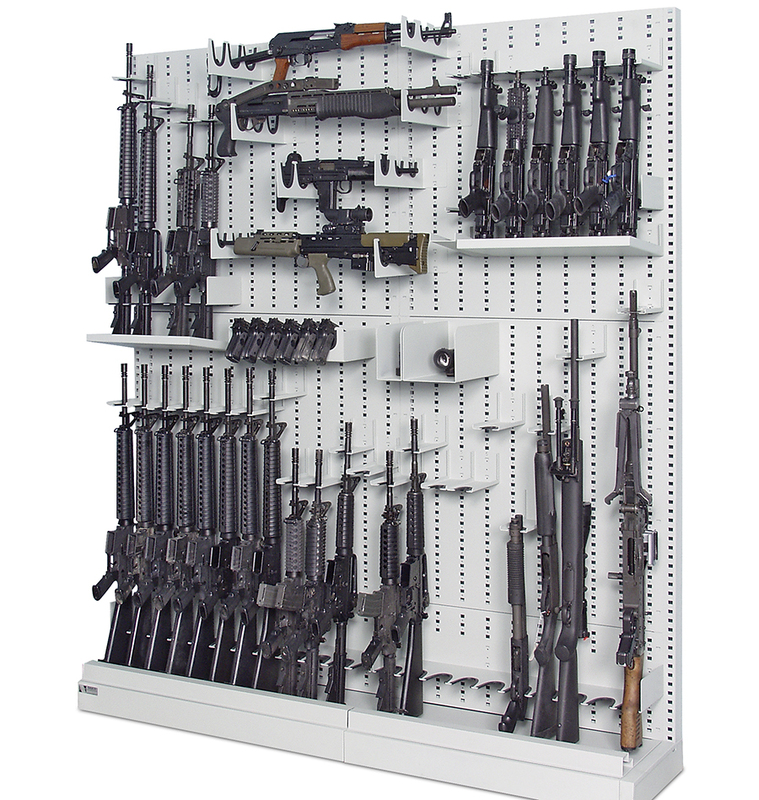 Modular Secure Stackable Weapons Rack enables high-density storage of arms in flexible, stackable format. No other weapon storage company has such a depth of experience supplying clients from many of the world’s most important military and police forces. Unparalleled levels of space planning and CAD drawing detail enable us to ensure successful solutions time after time. We have carried out supply and installation projects for government customers right across the world in widely varying locations and climatic conditions. 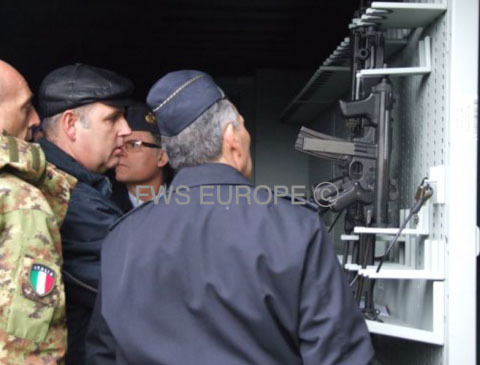 NAMSA (NATO Procurement Agency) were tasked to provide NATO Forces with mobile containerised storage that could be included with NATO deployments to provide instant weapon and ammunition storage for NATO forces. 26 shipping containers were required to provide storage for all forces at four deployments simultaneously. 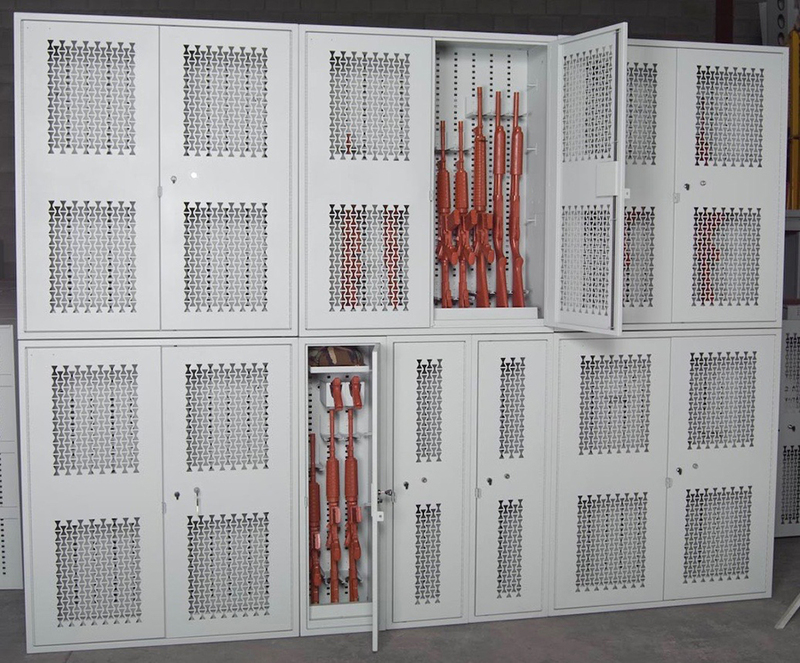 Secure Evidence Storage Cabinets Secure Evidence Storage System with many options to exactly match your operational requirements. Interchangeable Components for the Stackable, Expandable, and the Secure Weapons Cabinet. Weapons transportation solutions both within a secure environment, plus transport cases and equipment for movement of weapons outside the armoury environment.